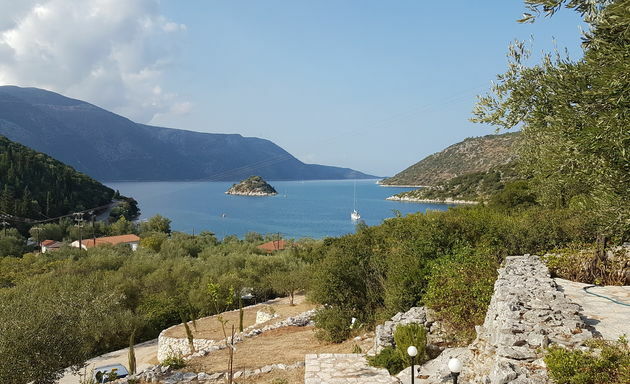 Anthula has stunning views down the valley of olive groves to the sea, the pine and cypress forested foothills of Mount Aenos and the sandy coastline. 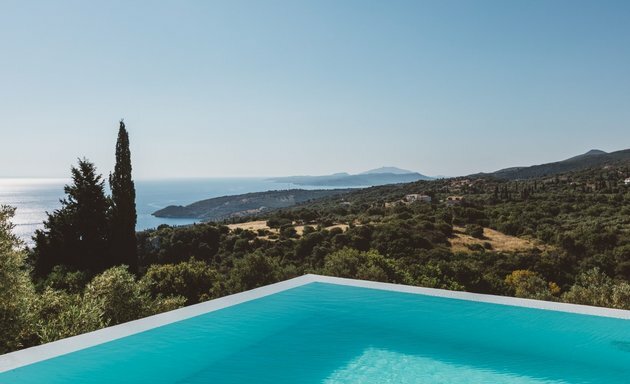 Villa Antigoni looks down a hillside of silver olive trees, over the waterfront houses of Gaios port and across the sea to the Greek mainland. 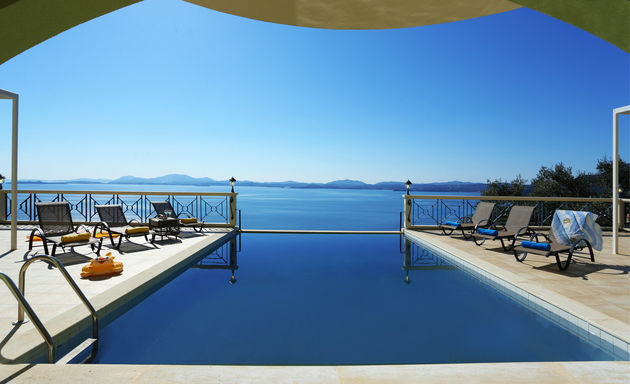 Villa Aphrodite has dramatic views along the east coast of Corfu, as far as Corfu Town, and across the sea to the Epirus mountains on the Greek mainland. 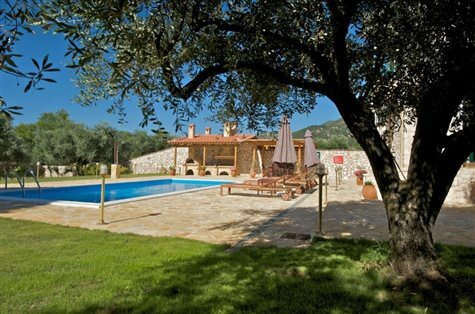 Villa Appolonia is a modern and comfortable house with a private hilltop location above the villages of Fontana and Magazia. 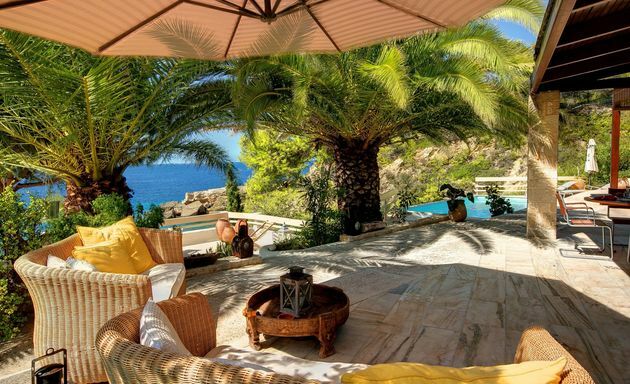 Just 400 metres away from Gerakas beach in Vassilikos, Villa Arcadia is hidden within its 10,000 square metres of private grounds. 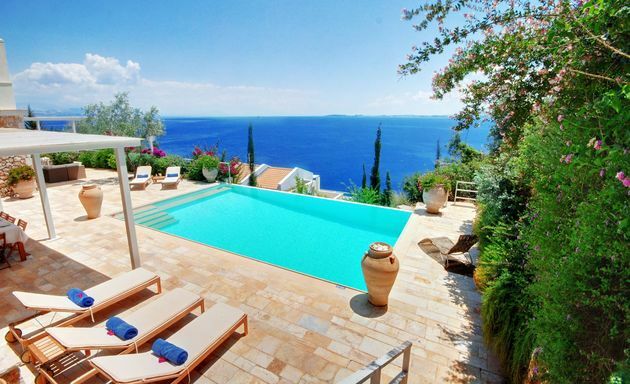 Villa Arethusa lies just a 5 minute walk away from two beaches and a 15 minute walk from Loggos waterfront. 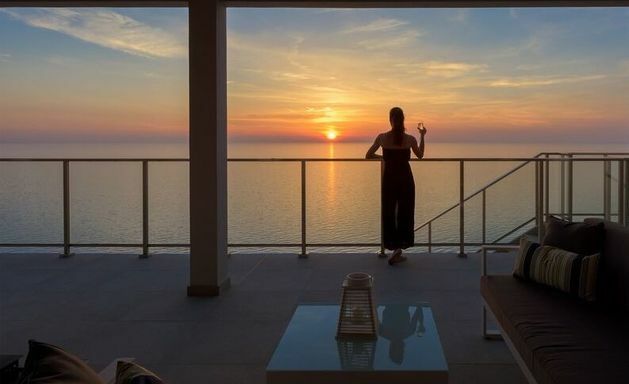 Areti House is set on a hillside of olive groves just 100 metres above Dexa beach on Ithaca's east coast. 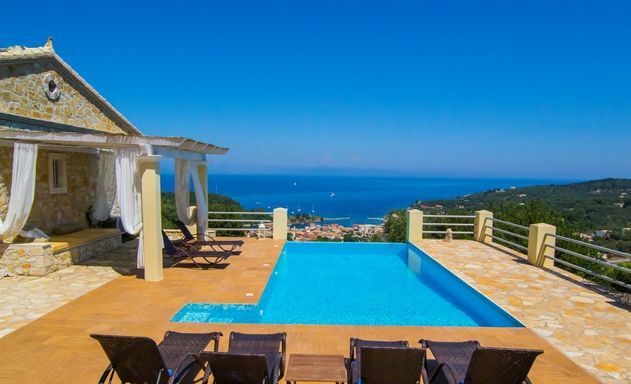 Villa Artemis is a beautifully presented, modern villa close to the sea on the south coast. 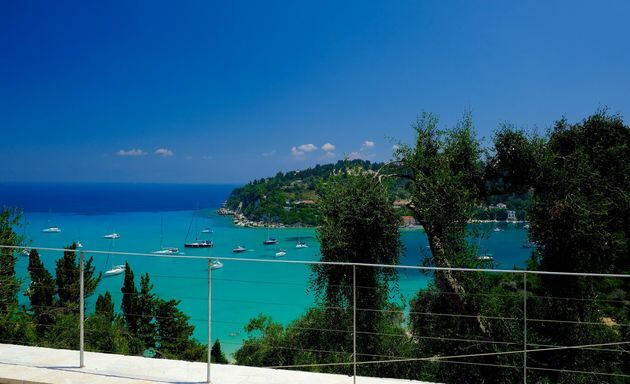 On a stretch of north east coastline close to Barbati, Aspro is a luxury villa just above the sea. 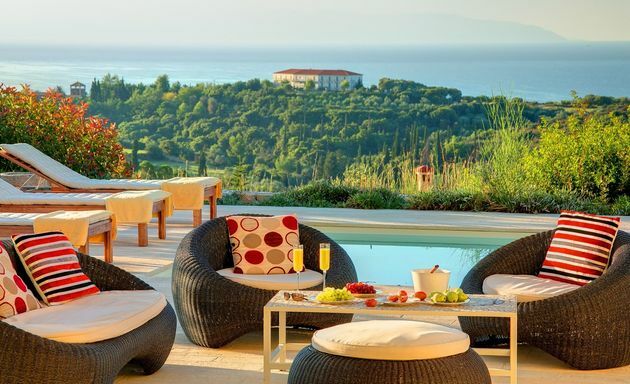 Villa Asteria sits privately on an upper hillside terrace above Kathisma beach on Lefkas' west coast. 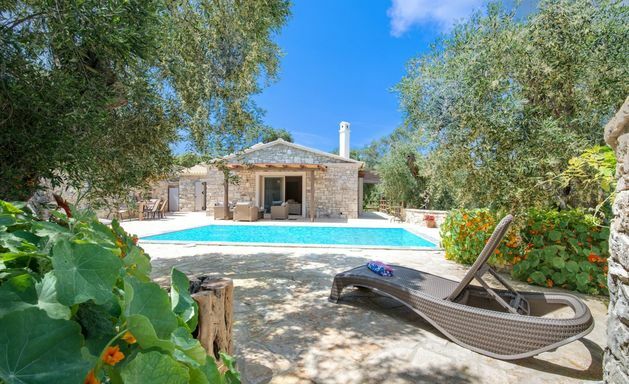 Villa Athanasia, for up to 13 people, stands just above Kaki Lagatha beach, just a few bays north of Gaios on Paxos’ east coast. 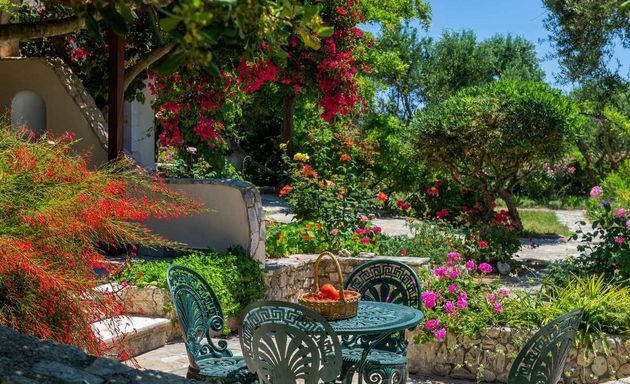 Close to the sea and surrounded by olive groves, these pretty stone villas have a peaceful, countrified location. Averto Avalli is a rather special apartment on Gaios waterfront, a 2 minute stroll to shops and tavernas. 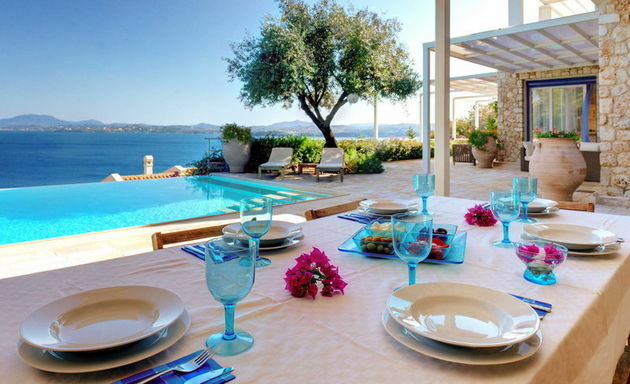 Azzuro is a stylish villa just 70 metres away from the sea. A private path leads down to a small beach below. 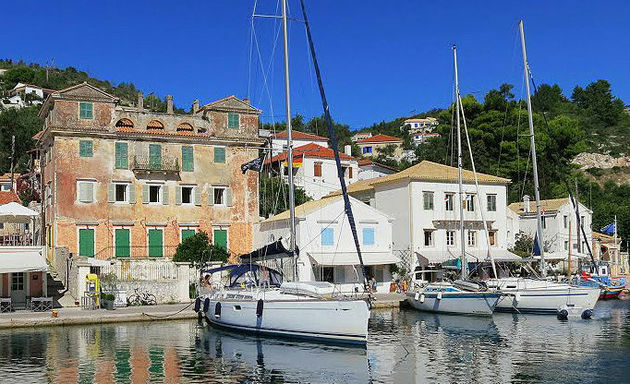 The Beach House is just a 3 minute walk away from a beautiful beach on Paxos' east coast. 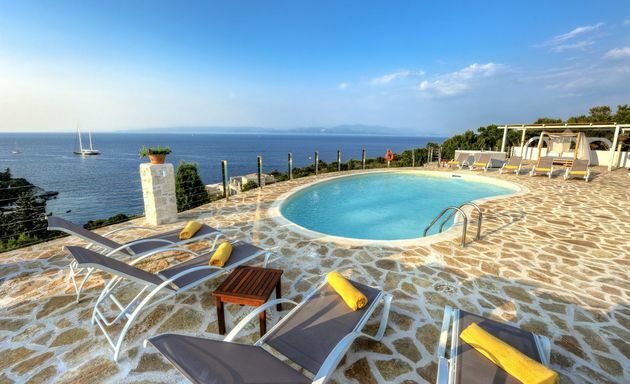 Blue Shutters is a special retreat for up to 14 people above the north east coastline of Zakynthos.